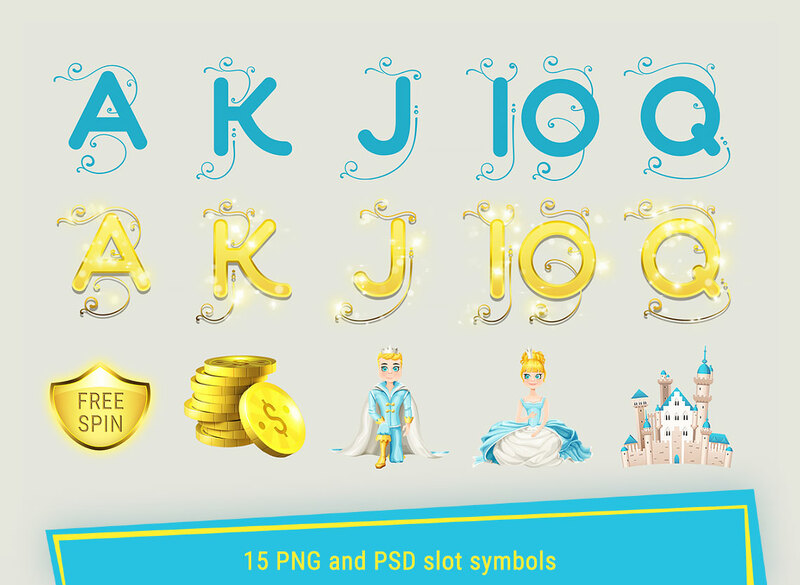 Royal Slot Graphics Asset is a graphics for slot game with GUI, icons, backgrounds and menu in shiny, brilliant, royal, gold style. 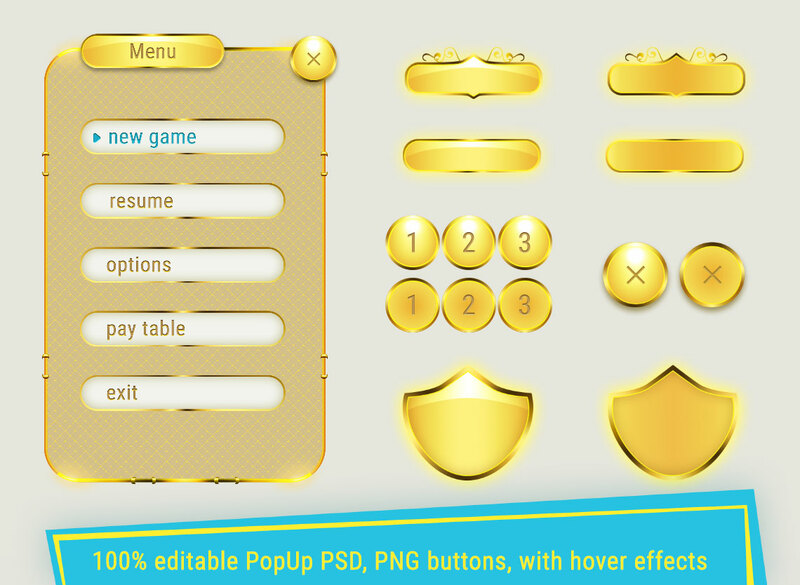 It included different graphics elements to create your own Pop Ups and scenes. 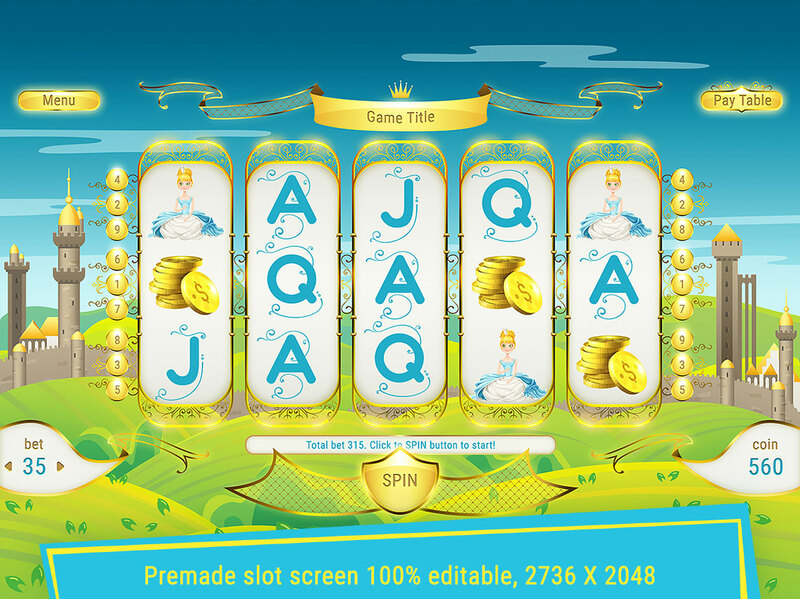 All graphics in high resolution ready for retina display and suitable for IOS, Android, Web.